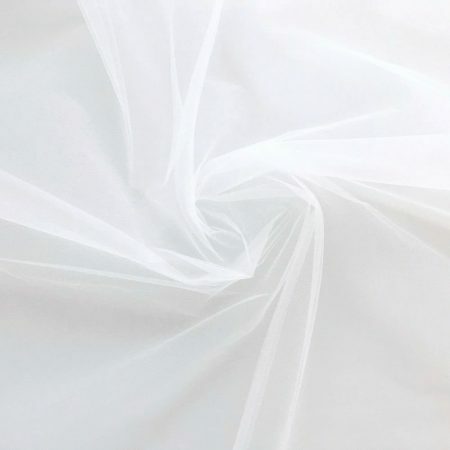 Available in ivory “silk effect” tulle. 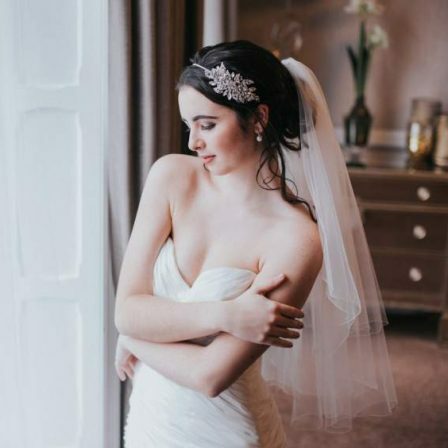 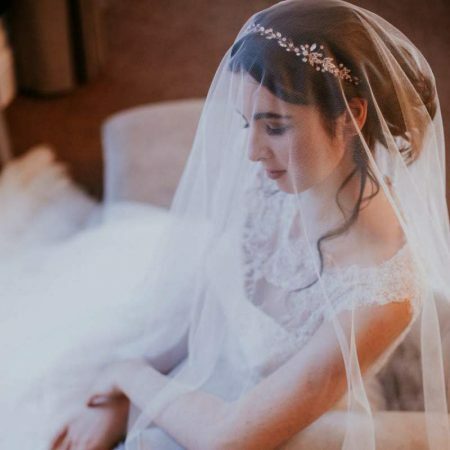 Julianne is a beautiful and feminine two tier fingertip length drop veil in our ivory Silk Effect tulle. 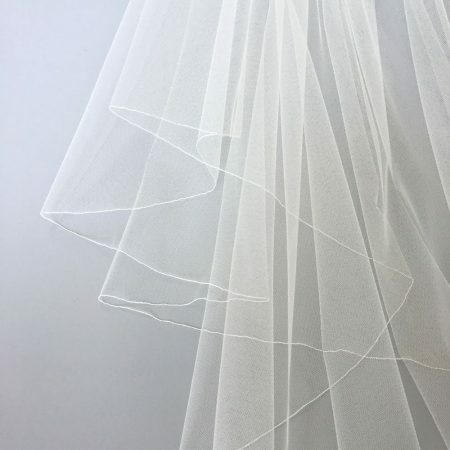 Veil dimensions are 30”+42”x60″ Fingertip length – slim width. 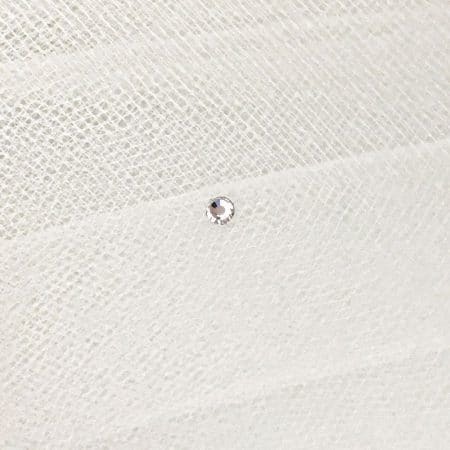 As a drop veil, this veil has no gathering. 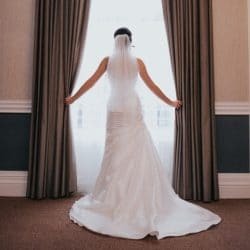 How soon do you need your veil? 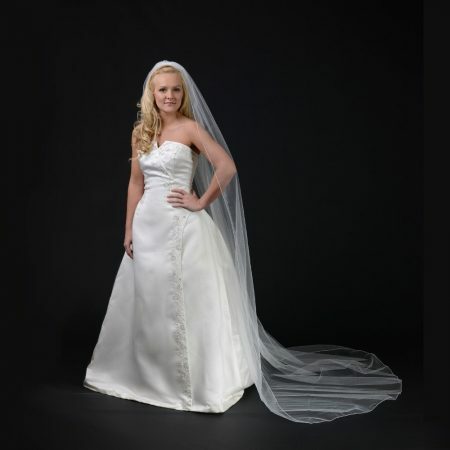 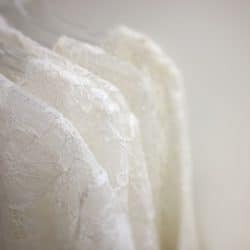 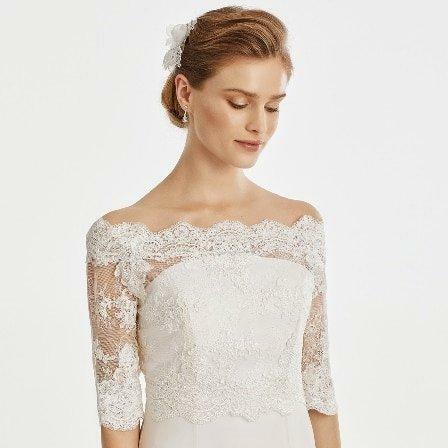 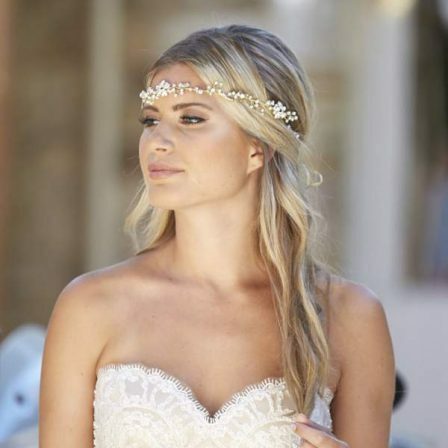 Julianne is a simple fingertip length drop veil with a cut edge. 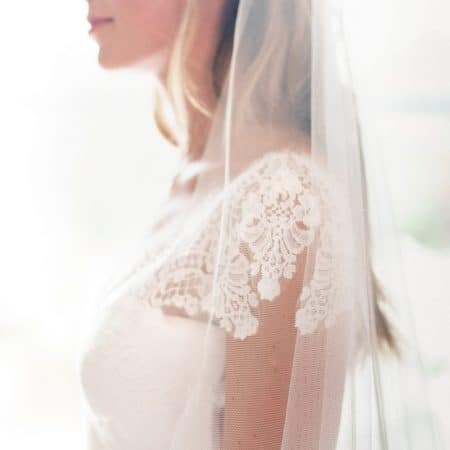 Drop veils are ungathered making them wonderfully sheer over the face. 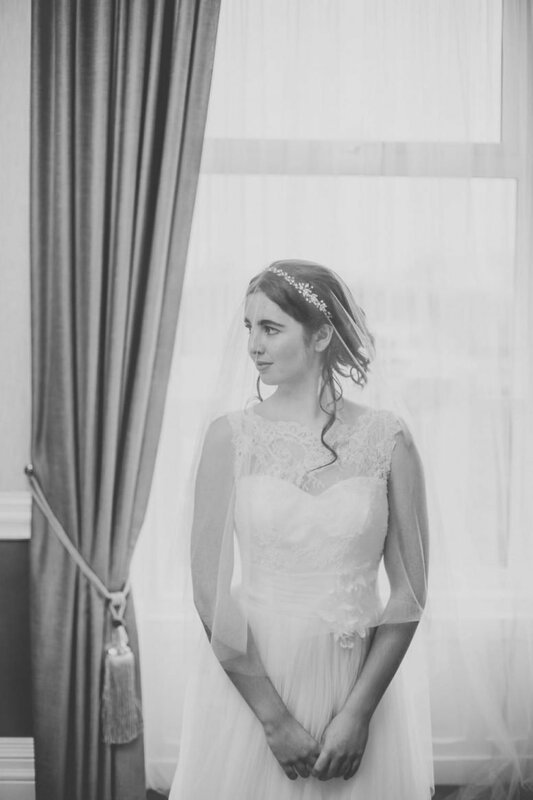 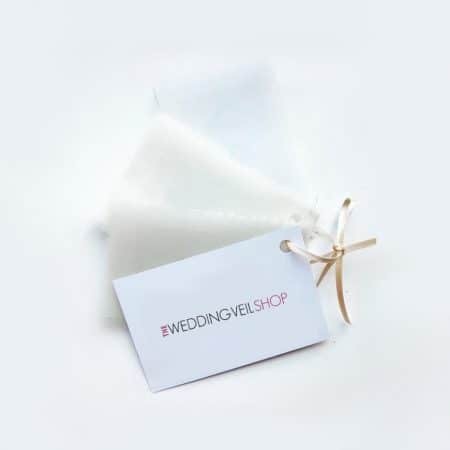 This veil is made from our silk effect tulle which is is a heavier draping tulle that feels super soft to the touch.